SportstarZ stands for quality. That’s why we carefully select only the best locations for an unforgettable sports camp. Our sports sites belong to the countries’ best, preferably of Olympic size and always equipped with the newest (sports) techniques. Also our lodging we select just that little extra, no hustle with stretchers or tents but great atmosphere, comfort and sportive surroundings. Together with enough fun recreational space and comfortable real beds it’s a great way to stay with us. Whichever location you choose, SportstarZ will make sure you can fully focus on the most important; enjoy a unforgettable sportive time with SportstarZ. 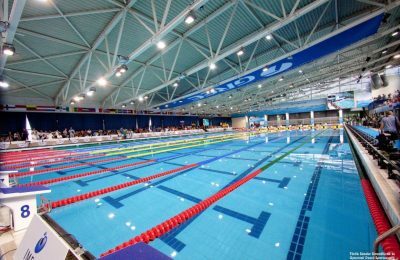 Twice a day we train in Europe’s largest and most beautiful swimming pool the “Pieter van de Hoogenband Swimming stadium” in Eindhoven. This high-tech swimming complex is the home base for national top-class swimming athletes and numerous swimming clubs. We use the 50-meter (10 lane) Olympic size swimming pool and the 4 lane ‘state of the art’ training pool which is equipped with a so-called Vision Training System (thirteen cameras to create comprehensive analyses) which is unique in Europe! 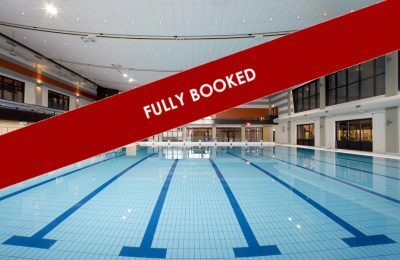 This brand new eight-lane 50 mtr pool can certainly compete within the top 3 of best swimming sites in the Netherlands. 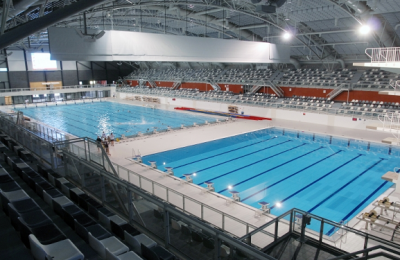 Therefore we are proud to offer our swimmers two training sessions a day in this professional pool. 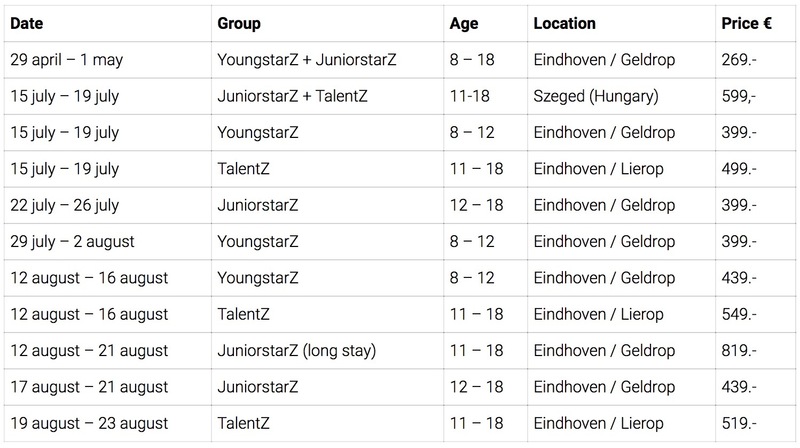 Also in Dordrecht we make underwater recordings using mobile video equipment through which we are able to offer swimmers the same great skill-to-skill assessments based on their extensive video analyses. Sportstad Heerenveen (Sportcity Heerenveen) is the newest most modern multifunctional centre of the North of Holland. It offers a great variety of sports, lifestyle, health and leisure facilities. Swimming and staying right beside soccer stadium Heerenveen, can it get more sportsmanlike? Not only the swimtraining training takes place at a top location, also overnight, food and the recreation is superb at this camp. From upcoming summer onwards SportstarZ will host a swimcamp in Hungary. To be precise the pool is in the place Hódmezővásárhely, close to Szeged in the south of Hungary, less than a two hour drive to Budapest. When the weather is good we will swim outside, if the weather Is bad there is the opportunity to swim inside. The swimming facilities at Hódmezővásárhely are great! We stay on walking distance of the pool in Hotel Ginkgo. SportstarZ has two and three persons hotel rooms, with all the necessities and luxery. See the available data below.